President Weah has promised to decentralise power, but the temptation to delay or renege on this commitment now he’s in office will be great. Although it was closely fought, the election of George Weah last month signalled Liberia’s widely-shared desire for change. After 12 years under the previous administration of Ellen Johnson-Sirleaf, the country can boast a positive environment for civil society, freedoms of press and expression, and a growing democratic culture. But at the same time, its faltering economy continues to fail the majority of citizens – particularly the youth, who make up nearly two thirds of the population. Across his six-year term, the newly-inaugurated President Weah must now find a way to allow Liberia’s democratic culture to continue flourishing while also tackling the economy. This will be easier said than done. Tweaking around the edges won’t be enough. Confronting these challenges may require a radical paradigm shift in the very structure of government and in the allocation of authority in Liberia. In fact, the best way for President Weah to exercise the power he just won may be to immediately give some of it away. Since its establishment, power in Liberia has been heavily centralised. The presidency has sweeping powers under the Constitution to appoint nearly 3,000 officials including city mayors and district commissioners. The office even has the right to remove elected chiefs. This excessive concentration of authority has enabled the formation of imperial-like presidencies. It has reinforced power relations that make people mere recipients of government largesse (where available) rather than active citizens. And it has contributed to the marginalisation of peripheral counties and the gross underdevelopment we see across much of Liberia. In her inaugural address of 2006, Ellen Johnson-Sirleaf pledged to change this and to bring “the government closer to the people”. But once in office, she continued to appoint officials such as mayors and commissioners, while decision-making and resource allocation remained the prerogative of central bureaucrats. Besides some half-hearted programmes conducted through County Service Centres, there was little meaningful reform. Councils created to enhance participation were captured by legislators and superintendents seeking relevance at the local level. 12 years later, Sirleaf essentially left the office as she found it. While in opposition and on the campaign trail, Weah made great promises towards decentralisation and “pro-poor governance”. But now he is in office, some may be holding their breath. As with Sirleaf, the temptations to delay reforms are clear. 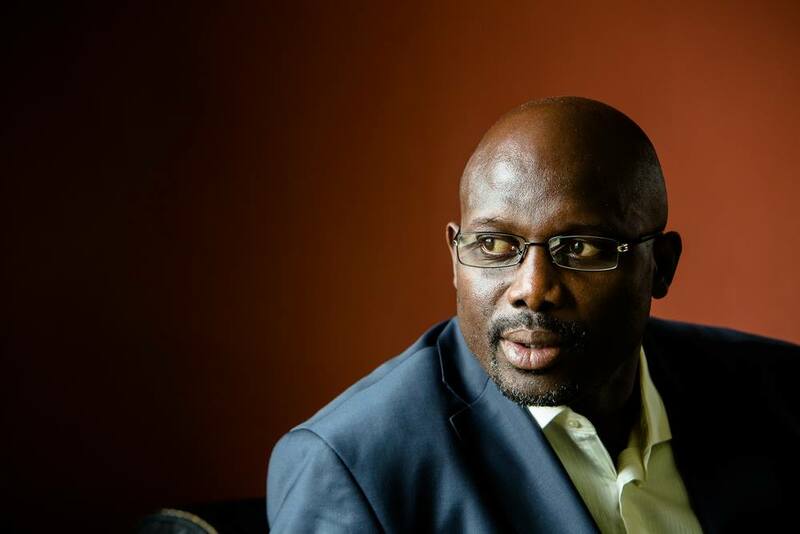 Weah has just ascended to a hard-won position with in-built powers that would easily allow him to consolidate his newly-established authority through patronage. However, if Weah is ever to succeed where his predecessor fell short, he must act urgently. He must make it a priority to push through difficult reforms that would ultimately transfer certain powers – such as regarding elections, decision-making, revenue generation and expenditure – to elected local governments. The longer he waits, the harder it will be. The ruling Congress for Democratic Change’s (CDC) record on this front may be reassuring. Since the 2011 elections, the party has made decentralisation a critical element of its platform as a way to enhance democratic participation and socio-economic advancement. In its manifesto that year, the CDC pledged to “operationalize a national decentralization plan far more aggressive in its emphasis on national and grassroots ownership than the [then ruling] Unity Party’s”. It pledged to hold municipal and local elections within two years of being elected, and facilitate the establishment of local councils for decision-making and oversight of resources. The CDC ultimately lost those elections, but continued to advocate for decentralisation in opposition. At a conference in June 2016, it was among 19 political parties to endorse a resolution supporting devolution. Since winning the election in December 2017, Weah has also continued to emphasise his agenda for “pro-poor governance”. Moreover, in his first State of the Nation Address, delivered on 29 January, he stated his intention to request the drafting of “legislation that will focus on the decentralisation of institutions and systems of governance”. If Weah is to prove true to his words, he already has two major pieces of legislation that could drive this agenda and help restructure power relations. These were both drafted by Sirleaf’s administration under the pressure of, and with funding from, international donors. The first, the Constitution Referendum Bill, proposes genuine constitutional reform regarding local elections, resource distribution and the reduction of elected officials’ tenures. The second, the Local Government Bill, would see the creation of local governments with authority to decide on development priorities, collect taxes, and implement programmes. Both entailed public consultations in their drafting and would lead to meaningful reform. But both have been languishing in the legislature for more than two years now. With plenty of political capital at the start of his term, Weah could easily pluck these documents from the shelves and support their speedy enactment and implementation. The new president will have many obvious reasons to want to hold back in giving away some of the huge powers he has just inherited. He will also likely face resistance from some of his own cabinet and allies if he attempts to implement these reforms. But as difficult as they might be, Weah must recognise that they are a critical step in achieving all of his other promises – whether on democracy, reconciliation or economic advancement. The temptation to delay or shrug off his commitment will be great. As will resistance from those with vested interests. But one of the toughest tests of Weah’s presidency, and perhaps of his legacy, will be how he now goes about relinquishing his massive powers to the people at the local level. These are very objective and interesting pieces. If any President can effect change it would be President Weah as he is financially independent, possesses both physical and mental strength, and seems to have the Liberian peoples’ interests in his heart. I wish him luck.